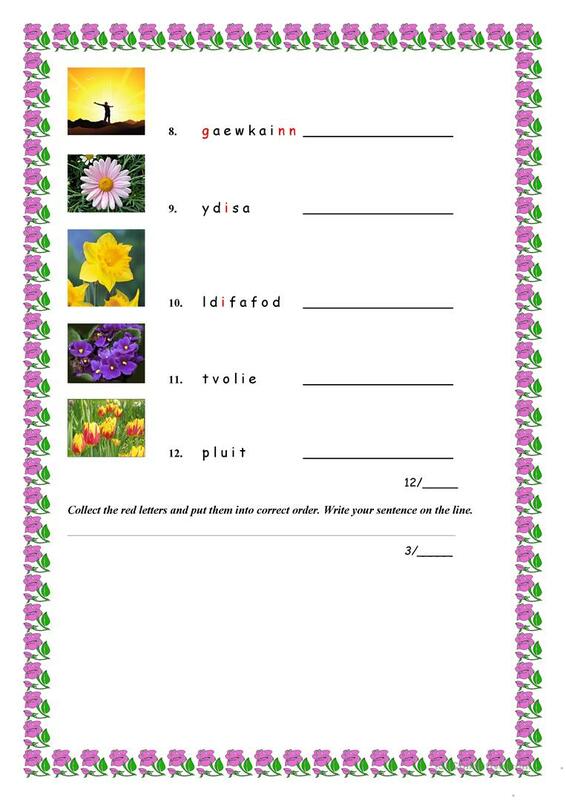 Spring is the season of "LOVE"
This downloadable worksheet was created for elementary school students at Elementary (A1) level. It is excellent for working on your class' Spelling, Reading and Writing skills. 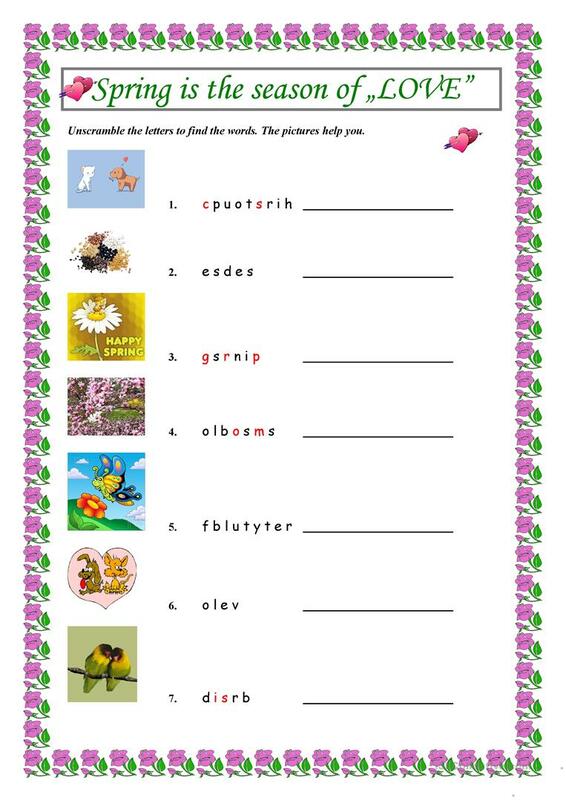 It centers around the topic and words of Spring. naszi is from/lives in Hungary and has been a member of iSLCollective since 2012-10-16 22:31:03. naszi last logged in on 2016-12-19 21:14:57, and has shared 3 resources on iSLCollective so far.